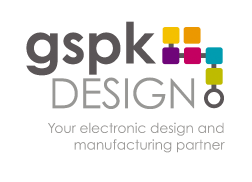 GSPK Design is committed to ensuring that your privacy is protected. Should we ask you to provide certain information by which you can be identified when using this website, then you can be assured that it will only be used in accordance with this privacy statement. GSPK Design may change this policy from time to time by updating this page. We will let you know when we update this privacy statement to make sure you are happy with any changes. This policy is effective from May 2018.
Who are we and why do we collect data? We may send out promotional marketing messages (using MailChimp) using the e-mail address you have provided and only if you have given us consent through our website. To accurately quote clients using our bespoke QMS (Quality Management System) system. This system allows our company to work harmoniously with our various departments from initial sales leads to dispatching product out the door. We may also use collected data for Marketing research purposes conducted through e-mails, mailings or phone calls using only the data you provide us. This helps us better engage with our clients and adapt our business practices. How long do we keep data and who receives it? There is no specific date in which we hold data for. You can be removed from our records at any time you wish by simply getting in touch with us. The data is used and can be seen by a select few people across our business only who all report directly to the Managing Director. GSPK Design is committed to ensuring that your information is secure. In order to prevent unauthorised access or disclosure, we have put in place suitable physical, electronic and managerial procedures to safeguard and secure the information we collect online. A cookie is a small file which asks permission to be placed on your computer’s hard drive. Once you agree by using our website, the file is added, and the cookie helps analyse web traffic or lets you know when you visit a particular site. Cookies allow web applications to respond to you as an individual. The web application can tailor its operations to your needs, likes and dislikes by gathering and remembering information about your preferences. We use websites such as Google Analytics to evaluate traffic on our website. We will inform you immediately of any unauthorised data breaches. Rest assured security measures are in place to stop this from happening. Please note, we will not sell, distribute or lease your personal information to third parties unless we have your permission or are required by law to do so. You may request details of personal information which we hold about you under the Data Protection Act 1998. If you would like a copy of the information held on you please get in touch via e-mail or write to Managing Director, GSPK Design, Manse Lane, Knaresborough, North Yorkshire, HG5 8LF.